James Maurice Crothwait, son of Mr. and Mrs. E.P. 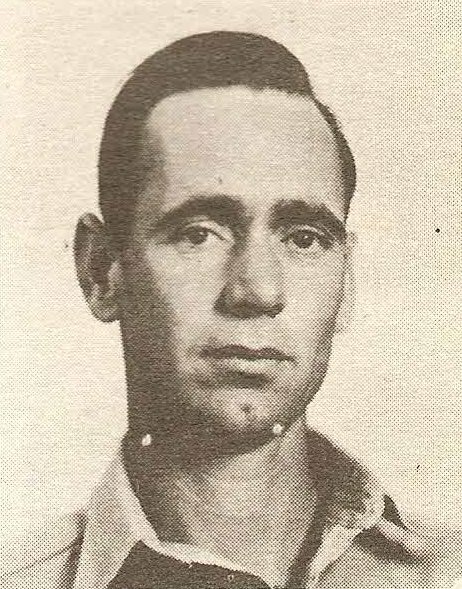 Crosthwait, deceased, husband of Jett Groves, Jean. Entered Navy in 1942, trained at Davisville, R.I., Camp Parks, Cal. and Port Hueneme, Cal. Served in Aleutians, Attu, and Okinawa. Discharged in 1945. There is also a James Maurice Crasthwait on the Roster Page of the 1940's publication. I am not sure of the correct spelling of his name.